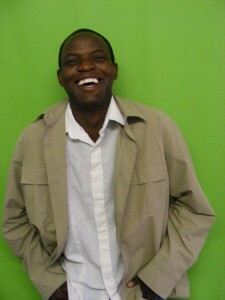 Michael Phoya is a vibrant young man of many talents known to us as Muti (black magic). He started to write his first book when he was 20 years old. This was after his under graduate studies in Business computing at the Malawi Polytechnic. He made a three year trip around Malawi collecting information for his first book. He then went to the institute of Journalism and later trained at a School of Film making in Capetown. To this day Michael Phoya has five books to his name. As you talk to Michael , you realise how passionate he is about his country Malawi. According to Michael, Malawi is the warm heart of Africa with friendly people and a varied topography. He envisions that one day Malawi will join the global discourse of the open initiatives and that Malawi will tell its own story. I met Michael while attending an open initiative course in Capetown. Where he seemed enthusiastic about the Open Movement. He hopes that his experience in Capetown will enable him in his role as a Wikipedian and as a wikienterprenuer. His role entails not only training and activating communities in the open movement,but also getting corporate to support the open initiatives. When you look at Michael, his love for life is quite evident. His always encouraging us to try all the different cuisine in Capetown, which explains his love for food, although you can’t see it just by looking at him. Michael is a social person who seems to be getting along and interacting with everybody around him. He loves to travel and has been to several countries like my very own Uganda. Most of all Michael hopes to do his best in this open initiative and deliver to the best of his capabilities. ‘Its tough for Africa’ he says, so lets learn the’ sharing way’ and let it be the’ Africa way’.